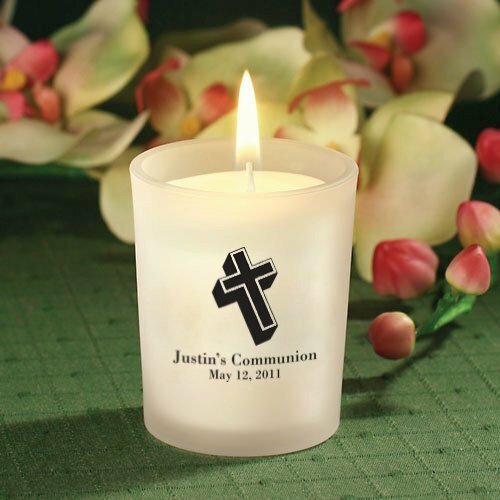 Send the guests at your son or daughter's communion party home with a favor that they can use again and again. These gorgeous frosted candle holders feature a poured wax candle and are customized with their name and communion date. You can choose from 50 different designs and several ink color options to create one-of-a-kind personalized first holy communion favors.